Paddle Australia welcomes the call from the Australian Olympic Committee (AOC) for more investment into Sport and the change in direction outlined by AOC CEO Matt Carroll AM in his speech at the National Press Club on Wednesday, 24 October 2018. Carroll called for a boost in funding for participation and high-performance sport and outlined the vision for “Olympics Unleashed” – an inspiring program that will see our sporting hero’s reaching out into local communities to encourage greater participation in sport and physical activity. The speech recognised the benefits of long-term, sustained investment in sport in delivering improvements in physical and mental health outcomes and reducing rates of obesity amongst young people, as well as ensuring the success of Australian athletes on the world stage. 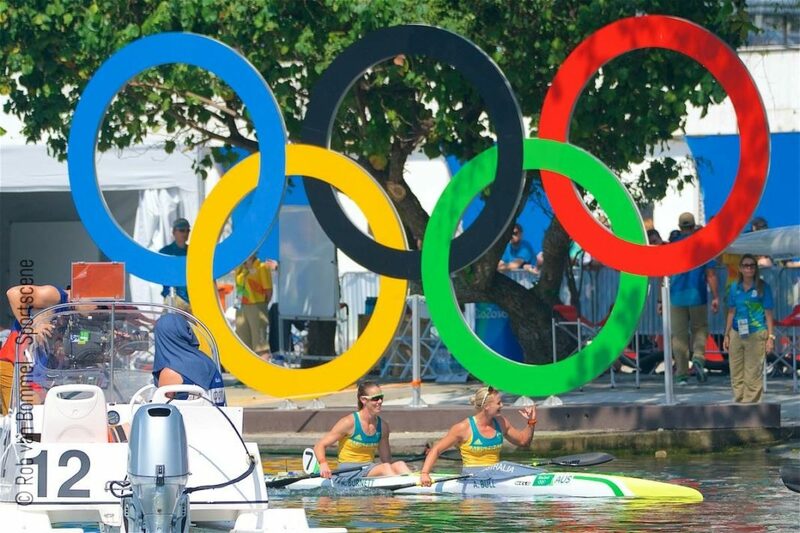 “With less than two years to go to the Olympic Games in Japan and a strong pool of athletes coming through for the years beyond, we welcome the call for more investment into Sport as our Olympic and Paralympic paddlers prepare for Tokyo 2020 and beyond,” Phil Jones, CEO of Paddle Australia said. 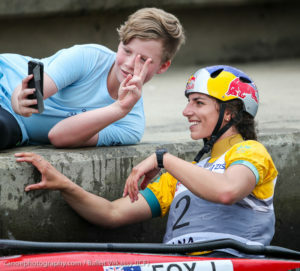 “It is great to see Jessica Fox, the greatest slalom paddler of all time, involved in various athlete and youth ambassador roles. See full speech below, courtesy of AOC. I am delighted to be here at the National Press Club to talk with you about the future of sport in this great sport-loving nation. I want to acknowledge representatives from Olympic and Paralympic sports, from universities, tourism and government. Importantly, with us we have some of Australia’s most inspiring Olympians who are incredible ambassadors, not just for sport or the Olympics, but for Australia. All are here through the power of sport. 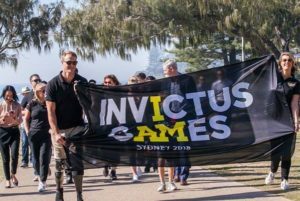 This power is in full demonstration in Sydney this week through the inspiring stories of the athletes competing at the Invictus Games. Today I am unveiling a new direction for the Olympics in Australia. I’ll be detailing why Tokyo 2020 is so important – and why we need to invest additional funding to ensure this nation enjoys a sport’s dividend. The Australian Olympic Committee is the custodian of the Olympic movement in Australia. We bring together 43 member sports – and with the Australian Paralympic Committee, we represent the largest, most diverse, most inclusive sport network in the country. Ladies and Gentlemen: Today I can announce a new direction for the Olympics in Australia. We’ve made changes to the way we work at the AOC, driven by some troubled times around 18 months ago. As I have always said, sport invented politics because sport is the ultimate hotbed of passion. It was clear change needed to happen, so we undertook an independent cultural review by The Ethics Centre who made 17 recommendations. 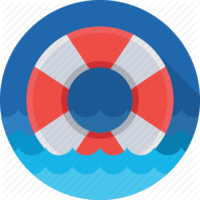 We published the Review and since then, we’ve implemented all 17 in full. Going through this experience, gave us the opportunity to push the reset button, ensuring the Olympic movement in Australia is set up for the future. Our role is to provide athletes the opportunity to excel at the Olympic Games ….and to promote the values of Olympism and benefits of participation in sport to all Australians. Our vision – Australians inspired by the spirit of Olympic sport. This underpins everything we do – we are here to inspire. The Australian community is incredibly important to what we do. 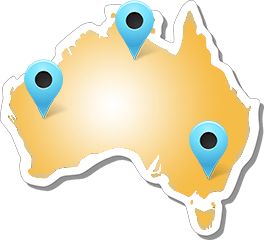 We’re not here just to help Australia participate in the Olympic Games. We don’t just organise the gear, pay for the flights, support the athletes on the ground, then get everyone home safely. The Olympic Charter drives our commitment to encourage more Australians to play sport, regardless of their age, or background, or what job they have. We are committed to increasing access to sport for everyone, highlighting for young people in particular the educational, health benefits and values associated with sport. This is one of our top priorities so we are developing and investing in programmes – and we’re wanting to work with government and corporate partners as well our member sports to make this happen. Olympics Unleashed, to reach more school kids in more places right across the country than anything done before. By working with State and Territory Governments and corporate Australia, we have an ambitious aim to reach and influence nearly 4 million Australian students across 9,400 schools. Olympics Unleashed takes Olympians and Paralympians into classrooms so kids hear first-hand from champions about what they’ve learned during the twists and turns of their personal and sporting journey. That success is almost never a straight road, that overcoming failure is learnt along the way. This is using the spirit of the Olympics and our Olympians to inspire the kids of Australia to be their best. The program has already started in Queensland, through the support of the Queensland Government and in particular their Sports Minister Mick de Brenni. One of our Olympians being unleashed into Queensland schools is with us today. Four-time Olympian, Leisel Jones. Can you imagine how the faces of the kids at Bell State School – in regional Queensland – will light up when one of our most inspiring Olympic swimmers walks into their classroom? While Olympics Unleashed may inspire future Olympians, it will also inspire future scientists, artists, nurses, tradies, parents, people – to be the best they can. That’s the Olympic spirit; that’s at the core of our new direction. At the AOC, we believe all individual or team sports should have the opportunity to compete at the highest level of international competition – the Olympic Games. So in less than two years, when the Olympic flame is lit in Tokyo, one of our biggest teams ever – of around 480 athletes – will represent Australia in 36 sports. The Tokyo Games present a great opportunity for Australia. From our traditional sporting strengths to some of the new sports of surfing, skateboarding, sports climbing and karate, we have high hopes. Tokyo will also see the return of softball and baseball and some innovative changes to existing sports – such as, 3×3 basketball and mixed gender relays in Swimming and Triathlon. Under our new direction, we are listening to and working with our member sports with an even greater focus on the people who really matter, the athletes. How we manage their requirements across the spread of venues in and outside of Tokyo, there being no central Olympic Park to combating the Tokyo heat and humidity – I’ve lived there, it is very hot in summer! A number of sports have established training bases in Japan and others have planned their preparation in northern Australia to acclimatise. The opportunity for success in Tokyo is underpinned by our reinvigorated relationship with Sport Australia, the AIS and the state institutes of sport. We’re taking a one team approach, The AOC have invited AIS Director Peter Conde and NSWIS Director Kevin Thompson onto our Performance Planning Committee. Athletes are at the heart of the Olympic Movement, at the heart of the Games. They are the role models who inspire millions of people around the world to participate in sport and reflect the Olympic ideals. Olympians take this responsibility very seriously and two weeks ago the IOC adopted the Athletes’ Declaration, proposed by the IOC Athletes’ Commission. The Declaration outlines the aspirational rights and responsibilities for all athletes within the Olympic movement. The AOC is dedicated to the protection of the clean athletes and to support them on and off the field. We continue to work closely with ASADA and the Federal Government in the fight against doping, match-fixing, manipulation of competition and related corruption. And if Tokyo is an athlete’s last or near last Olympics, as part of our new direction, we’ve initiated an Athlete Transition Programme to help Olympians with their life after competition. Providing opportunities for internships, career mentoring and wellbeing support. We recruited Olympian Daniel Kowalski to led the Programme, and we’ll be using our extensive networks of Olympic Alumni – many in this room today – to help along the way. Tokyo 2020 will be the closest to a home games since Sydney. With just a one-hour time difference Australians will be able to get behind their Team day and night. To help celebrate, we’re planning live sites in cities and regional centres to promote sport and support our Team. What will success in Tokyo look like for the AOC? The medal tally alone? No. In fact, I can tell you we will not be setting any medal targets for Tokyo 2020. We’ve listened to the athletes who’ve told us medal targets don’t help them prepare for competition. I don’t hear a footy coach calling the score before kick-off at the Grand Final! But make no mistake, we are striving to provide the Team with the environment to achieve their very best. If that’s a medal, we’ll all celebrate the achievement. More Australians will be engaged and inspired to participate in sport and benefiting from that involvement. More children will find their way away from a screen, off a couch, inspired by an athletes’ journey to the Games. To the AOC, that will be real success. I can tell you what failure looks like for the AOC. Failure, is the race that was never run. As the Tokyo Games draw closer, we’re working hard to meet our sponsorship budget to support the Team. Today I am very pleased to announce that Woolworths have re committed with the AOC and the APC. Not just supporting the Teams but also getting behind another of our initiatives, “Eat like a Champ” promoting healthy eating habits for kids. Our new direction in action! Talk of action it will not just be in the venues. I recently met with the Australian Ambassador to Japan, Richard Court and Austrade representatives, to explore how we can help Australian businesses and government benefit from the power of sport at the Tokyo Games. So Tokyo will be an opportunity; one of our biggest teams to compete; to look for more than medals as our athletes inspire the nation; and to help Australian government and businesses maximise opportunities. I want to turn to the question of funding. To ensure athletes and sports are positioned to give the summer and winter Games their best shot, the AOC provides direct financial support to athletes through a $6.6m incentive fund and a further $8m to member sports across a range of programs over the four-year period leading to the Games. For the Olympic Teams and teams for other Games, we invest $26.8m and a further $8.8m in programme support. We fund this through sponsorships, distributions from the Australian Olympic Foundation and the Team Appeal, to which State governments make a welcome donation and which is specifically quarantined for Team support only. We also receive Solidarity grants and a share of sponsorship from Olympic Partners through the IOC. The IOC receives all broadcast revenue which it uses to fund its activities, distributing 90% of its revenues to sport and athletes. At this point may I also extinguish a myth about our funding. The AOC neither receives nor seeks any Federal government funding. We want any funding from government to go directly to the sports and their athletes. There is no cost to the Australian taxpayer to pay for the Olympic teams, nor our rent, executive travel, operations or me! We do acknowledge that investment by Government in Olympic Sports is critical to the preparation of the athletes to compete at the Games. We are very thankful for this support that goes directly to the sports. Let me now turn to the National Sports Plan – Sport 2030. We warmly welcomed and supported the plan when it was released by the Federal Sports Minister in August. It addressed our recommendations including the issue of integrity in sport. We still support the plan! The Plan makes a very clear case of the importance of sport in the Australian community – health, addressing our obesity crises, mental health, personal development, strengthening our communities, contributing to Australia’s economy, sporting excellence and research – pride and motivation. The Minister’s announcement earlier today of additional funding for sports competing at the Games is welcome but put simply, there is not enough money to make any of this happen. Today, I am calling on the Federal Government to address this funding issue. Without funding, the Plan will not succeed, and Australia will be the loser. Today, we are calling on the Government to commit an extra $60m per year for Olympic and Paralympic sports participation and performance. In the scheme of the Federal budget of some $488 billion, this is not a lot of money. An investment by government in sport is no different to investment in any other industry –the dividends are different but no less important for the economy and the country, in fact more important. This will help reverse the trend that has seen Sport Australia’s appropriation funding reduce by 20% in real terms over the past eight years. This comes as independent research shows the economic contribution of the sport sector (including its health impact) is the equivalent of 2–3% of GDP. This means for every dollar invested, Australians get a return of at least five dollars. Interestingly, while Federal government investment in Sport Australia and the Olympic sports has declined, State governments across the country have invested billions of dollars in stadia. This is great for the five professional codes that use the stadia. This has helped to support their participation growth and high-performance programs. I am not complaining. I say well done to them. But with three of the five codes now having combined annual revenues in excess of $1.5 billion, they’re outspending the Federal government about three to one on their participation and talent pathways in comparison to the government’s spend on Olympic sports. This means those sports are dominating the market, making it harder for many Olympic sports to compete for participants, athletic talent, coaches, administrators and access to the sponsorship dollar. That’s not going to give Australia a diversity of sports. It’s going to do the opposite. This year’s PyeongChang Winter Olympics (the Games some media commentators claimed Australians didn’t care about), gave Channel Seven a massive win…16 million Australians experienced those Games. While direct investment in sport by the Federal government has shrunk, costs to Olympic sports continue to rise – competing in international events, initiating effective participation programs. This is not about the sports being inefficient – they are working hard but Australia is probably the world’s most competitive sports market. So where should this increase in investment be made? Without question, directly into sports as participation and performance grants and into the AIS and Sport Australia. Olympic sports bring a national network of experienced and committed people, largely staffed by volunteers. These sports reach all corners of the country and through their diversity, appeal to male and female, young and old and to our multicultural community. The Intergenerational Review of Australian Sport recognised the inextricable links between grassroots participation and elite development. No participants, no talent to rise to the top. No elite talent, no inspiration for participants. If Australians want international sporting success then like any industry, sport requires knowledge to stay at the front of the pack. The importance of sports science, sports medicine and technology in contributing to winning performances is clear. Australia once led this field when the AIS was a first in international sport. Now through deliberate funding neglect, the AIS is no longer preeminent. Is that where Australia wants to be? Second, third, way back in the field? If we want to become a nation of sport participants, Sport Australia’s ability to invest in essential services and systems to help sports recruit and retain participants, train volunteers and provide access to digital innovation is critical. This modest increase will provide for some sports simply an additional person to drive participation, a quality coach, an education program or an overseas competition to develop an aspiring talent. Take for example Chloe Esposito, our Modern Pentathlon gold medallist in Rio. Chloe is the perfect example of what can be achieved with some funding. An increase would provide opportunity for more Chloes. In reality, the dollar number is less than a promotional campaign for anti-obesity and would deliver far greater outcomes. Investing in the sporting cycle provides ongoing returns that one off campaign style initiatives can never achieve. And if the funding trend continues for Olympic sports – results at Games will decline, and in time so will participation, leading to a very small talent pool and therefore relevance as a sport. This once great sporting nation – so proud of its diversity, punching above its weight, will be confined to a few sports played by only a few and the rest will be faded pictures of past heroes. The only gold medals won will be the races to the most obese nation and social mediocrity. This is not hysteria – this is fact. As the Intergenerational Review of Australian Sport predicted Australia will face $88 billion of extra health and social cost over the next 10 years if nothing is done about obesity. But funding for sport now can fix this. Australia has proudly hosted two Olympic Games, Melbourne in 1956 and Sydney 2000. An incredible opportunity to host again is on the horizon – 2032. This opportunity no longer comes with trepidation. The IOC has initiated a reform programme called, the New Norm. The New Norm makes it easier and cheaper for cities and countries to host the Olympics. The IOC now works with cities every step of the way to ensure that the Games are affordable, beneficial and sustainable. This new way is already in action in Tokyo, where the venue budget has been reduced by around $3 billion Australian dollars. Australia has had an influential role in developing these reforms through John Coates as chair of the IOC Committee involved and chair of the Co-ordination Commission for Tokyo 2020. The reforms are in full swing for Paris 2024 and LA 2028, reducing costs, using existing venues and legacy based on delivering social and environmental outcomes – not bricks and mortar. Queensland is well placed to consider hosting the Games. A feasibility study conducted by South East Queensland Councils highlighted that Queensland already has the venues , and acknowledged the need for investment in transport infrastructure, regardless of hosting the Games. Building the transport simply makes hosting the Games more feasible. The decision on who will host the 2032 Games won’t be made for another seven years so there is time. Any bid would need to be apolitical. We all remember the Sydney Games and for some even Melbourne. The great exhilaration, the pride, the community spirit. Who could forget Cathy Freeman lighting the flame in Sydney … one of so many magical moments for us all. An opportunity to host again – it won’t come around very often. An opportunity for the athletes of the future – inspiring participation and dreams. This direction embraces the Olympic Spirit. The inspiration of the power of sport unleashed in Australian schools, striving for success in Tokyo. Benefiting young and old; health and wellbeing. Yes I have called for additional funding for the sports. Why? Because with funding, the Olympic Sports can deliver the government’s plan – can deliver for the nation. While Sport can contribute to change in the world, it cannot change the world alone. So, the AOC stands ready to work with the Government and Sport Australia to back our sports, our Olympians and through their determination and dedication to make the difference. In sport doing nothing is not an option.